Ethical Living: Meet the Artisan: Natural and Chemical-Free Gift and Beauty Brand, Lovely Soap Co.
Meet the Artisan: Natural and Chemical-Free Gift and Beauty Brand, Lovely Soap Co.
Buying from small artisans always feels special, the knowledge they have of their products, and the love that goes into manufacturing their wares is a key reason why I love working with independent brands. Lovely Soap Co is run by a savvy business woman called Sally. A force to be reckoned with, Sally started her business after being made redundant in the aftermath of the recession. By no small feat, Sally turned around her fortune by following her passion. Nine years on, and the Lovely Soap Co is going from strength to strength offering unique natural skincare gift sets and vegan-friendly soaps and bath bombs. I was lucky enough to interview Sally this week to find out more about her range and the hidden nasties that are lurking in your everyday skincare products. 1. 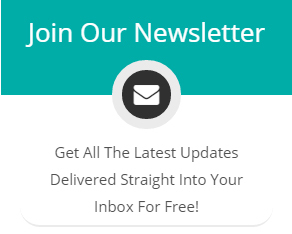 Tell us a bit about Lovely Soap Co.
At Lovely Soap Company we handmade natural soaps, bath and pamper products from our workshop in the Chilterns, South Buckinghamshire. All our products are made in small batches from fresh, natural ingredients, each one chosen for its skin-loving and therapeutic properties. We test our products on willing humans (not animals) and they are suitable for vegans, except our lip balms which contain some beeswax. 2. Why did you start your brand? I’ve always loved making things and have so many memories as a child spending Sunday afternoons ‘creating’ (a mess usually, but it was great fun). I trained as an aromatherapist and this was when I fell in love with essential oils. Not just the scents but also the different therapeutic benefits each one has. 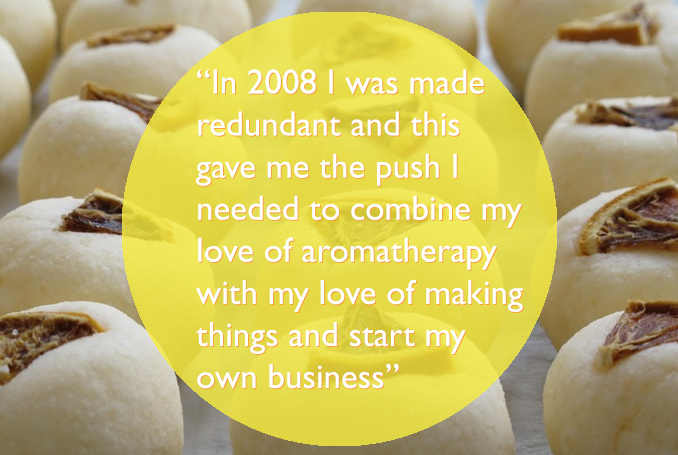 In 2008 I was made redundant and this gave me the push I needed to combine my love of aromatherapy with my love of making things and start my own business. I started out making natural candles and then progressed on to soaps and bath products. The rest is history. If it hadn’t been for redundancy I’d probably never have dared to follow my dream. 3. Your products don't contain any SLS, SLES, parabens or phthalates, but what does this actually mean? These are terms that we hear and see on packaging but a lot of people are not sure what they actually are. Simply put they are all chemicals added to a vast array of commonly used household and cosmetic products. They are used for things like their foaming and cleansing action or as a preservative or emulsifier. Each one on its own, in the quantity it is in, in any one product has been classified as safe. The problem is they are so widely used now in so many different types of everyday products and this has a cumulative effect meaning we are exposed to large amounts of them. Take the sulphates, for instance. SLS (sodium lauryl sulphate) and SLES (Sodium Laureth Sulphate) were originally designed as heavy industrial de-greasers used to remove oil from factory floors. They also act as a foaming agent and are used in products such as shampoo, toothpaste, mouthwash, shower gel and detergent bars even though they are known to cause skin, scalp, gum and eye irritations. It’s very difficult to avoid these chemical nasties completely as they are so very widely used. However, it’s easy for a small business like mine to make products without using them as I only make in small batches so don’t need to consider things like a long shelf life which large-scale producers have to do. This is why I choose to only use natural ingredients in Lovely Soap Company products. 4. So your products are all natural, free from any nasties, and not tested on animals, how important is that to you personally? It’s very important me. I feel happiest putting things on my skin that contain ingredients with names I can pronounce. That way I know what they are. I think natural ingredients are kinder to skin and less drying. For instance, since I started using my own soap to wash my face I no longer need to use moisturiser. It’s great being able to show people the benefits of naturally based products, especially if they haven’t considered them before. 5. What makes your products stand out from the high street? As an artisan producer I’m able to offer things that the big manufacturers can’t. Being handmade in small batches, all my products are fresh and preservative free. I’m inspired by nature and my products are often decorated with botanicals. I’ve got a large selection of dried fruit and flowers in my workshop. All my gift sets can be personalised which makes them unique. I think this attention to detail is something that makes buying an artisan product extra-special. 6. What’s your top tip for people wanting to buy skincare gifts? This is a tricky one but I’d say really think about the person you are buying the gift for and don’t be afraid to ask questions if you’re not sure which product would be the most suitable. Some things to consider are; What skin type you are buying for? – sensitive, mature, dry, oily. Does the person have any allergies? – nut oils are widely used in natural products. Is the scent from essential oils or is it a synthetic fragrance oil? Artisan producers have a wealth of knowledge about their products and are more then happy to share it. After all, we love our products and want you to love them too.